The political crisis in Ukraine has almost paralyzed the work of both the Ukrainian Government and Parliament – at the time when Ukraine’s western partners require reform, including in the sphere of the country’s strategic enterprises. Last week, contrary to the statements of top officials, as well as the expectations of Ukrainians and the Western partners, Ukraine has not received a new government. It would seem that everyone has already accepted the fact that it is Rada Speaker Volodymyr Groysman who will become the next prime minister, since his nomination was formally agreed by all factions of the existing coalition. In turn, Groysman, who recently denied any involvement in the nomination race, started sorting out possible candidates for his "dream team." In particular, there were some names voiced: incumbent deputy ministers of economic development and trade Maksym Nefyodov and Yulia Kovaliv, as well as deputy head of the Presidential Administration Dmytro Shymkiv. At the same time, Groysman is reported to not see a member of his team incumbent Minister of Energy and Coal Industry Volodymyr Demchyshyn. Instead of Natalie Jaresko, Groysman invited former Deputy Prime Minister of Slovakia Ivan Miklos to become a finance minister. Just as Jaresko, he is respected in the West. However, Miklos put forward certain conditions: he does not want to see any populists in the Cabinet and he does not intend to give up on his Slovak citizenship. Groysman seems to accept such requirements, as he registered in the Verkhovna Rada a bill that allows appointing a finance minister without Ukrainian citizenship for year’s term. The premiership saga was expected to end on Thursday when the leader of the Bloc of Petro Poroshenko faction, Yuriy Lutsenko, said that the urgent draft of independent deputies in the coalition parties was coming to the finish line. According to him, independent MPs enter the BPP and People’s Front factions to nominate the new prime minister, so that the Rada could by the end this week “get over with the mess, which has already crossed the line of human dignity." And the day before, on Wednesday, Prime Minister Arseniy Yatsenyuk said he was ready to give up his seat. "For the Western partners to continue supporting us, for the Ukrainian people to feel real change, I am ready to make any political decisions to form a coalition, to form a new composition of the Cabinet, to appoint a new prime minister and allow the new government to work," Yatsenyuk said. But on Thursday, just as on Tuesday, deputies simply failed to hold a vote: the issues regarding the coalition and the prime minister, or Groysman’s bill on the foreign minister of finance, were not put on the session’s agenda. Now the appointment of a new government can be held no earlier than April 12, or once again, we hear talks about the possible extraordinary meeting of parliament. 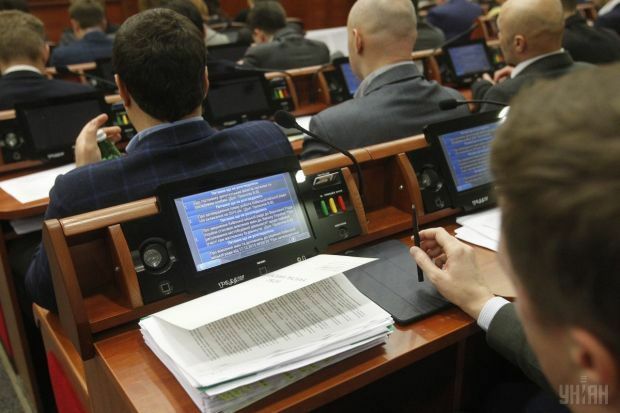 The ongoing political crisis over the issue of the new government has paralyzed the work of the Verkhovna Rada so much that it literally lost the ability to pass important laws. For example, a Tuesday’s vote was failed on the establishment of the state road fund for maintenance and construction of roads. This document has been under Rada consideration for 11 months. It aims to ensure attraction of UAH 40 billion for road repairs due to the introduction of excise duty on the import of petroleum products in Ukraine. But this idea was supported by only 182 deputies, while the others decided, apparently, that UAH 3.5 billion allocated by the Cabinet in 2016 will be enough to repair Ukraine’s roads. At the same time the Ministry of Infrastructure noted that in order to fix the Ukrainian roads, at least $50-100 billion should be allocated over a minimum of 10 years. Even more telling example of Rada’s incapacity became the notorious "financial day," which the National Bank of Ukraine and the Ministry of Finance has insisted to be scheduled for March 17. However, it was held only in the last day of the month. Numerous representatives of Ukraine’s financial sector urged the deputies in an open letter to consider more than a dozen bills on finance and banking activity. But the Speaker said his "the bill is passed" phrase much more rarely than "You’re going to fail this one, too, don’t you?" MPs voted so reluctantly that many of the bills had to be put to vote several times. The deputies managed to adopt in the first reading the draft law On Financial Restructuring, which provides for a voluntary pre-trial restructuring of the debts of legal entities to creditors. Its further adoption in the second reading would allow solving the issue with a significant number of problem loans, as well as the risk of bankruptcy of enterprises with a temporary liquidity problem, which can though restore their economic activity. Parliament also adopted the Law on Insurance, to replace the outdated regulation of 2001. It is proposed to introduce a new procedure for registration of insurance companies, the requirements for their owners, as well as the classification of types of insurance, according to European practices. A number of bills was also adopted on a regulated market and derivatives that brings Ukraine one step closer to the global practice of the securities market functioning. MPs also supported a bill to change the licensing terms on the financial services market, removing part of the regulatory barriers, which should have a positive impact on the development of the country's financial industry. Unfortunately, the deputies exhausted their enthusiasm, leaving pending the vote on the bills to protect the rights of creditors and consumers of financial services, as well as the draft law on the free choice of banking institutions by Ukrainians for opening their wage accounts. The deputies also didn’t have time to vote an important bill on the restructuring of foreign currency mortgage loans to citizens. The adoption of this law, according to estimates of the Independent Association of Ukrainian banks, would allow about 37,000 Ukrainian families restructure the debt on loans totaling approximately $1 billion. While politicians are reshuffling the ministerial seats and the deputies fail to adopt the new bills, Ukrainians continue to peter out. 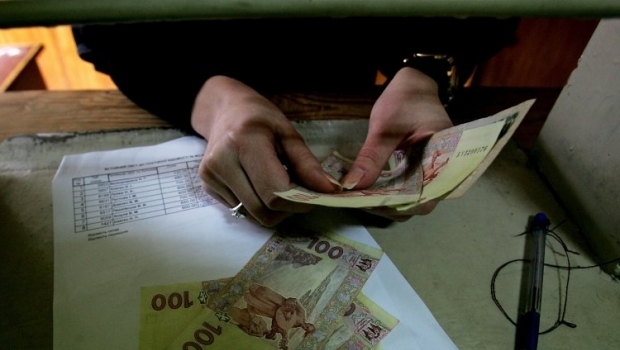 According to the director of economic programs at Razumkov Center, Vasyl Yurchyshyn, a significant drop in the hryvnia exchange rate in recent days was due solely to the political crisis in the country. At the same time, according to the State Statistics Service, in spite of the growth of nominal incomes by 15% in 2015 compared to 2014, the real incomes of Ukrainians decreased by 22.2%. The foreign creditors also noted the risk of protracted political crisis. "The political crisis poses a serious threat to the economic recovery and further economic reforms. It is important, in our opinion, so that this political crisis is resolved as soon as possible," said Qimiao Fan, World Bank Country Director for Belarus, Moldova, and Ukraine. Ukraine’s key creditor, the International Monetary Fund, last week reminded of the reform of the gas sector. The IMF expressed concern that Ukraine had not raised gas prices for households from April 1, as required by the agreed program of cooperation with the Fund. Last week, the Cabinet decided to extend until May 1 favorable terms of Naftogaz’s gas sales to the households. The government can be understood, as the heating season is not over yet. 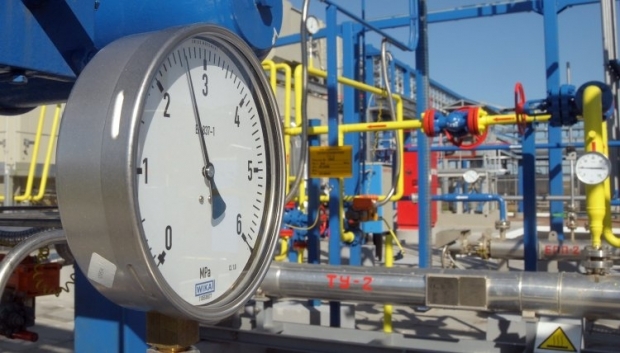 In case of termination of the preferential price, the price of gas for the households would grow from UAH 3,600 to UAH 5,500 per 1,000 cubic meters from April 1, and the payment for heating would be increased by about 80%. The IMF insists on the completion this year of a scheduled bringing the price of gas for all consumers to the market level, as this will rid Naftogaz of the problem with losses, which for many years has been covered with state budget funds. Meanwhile, Naftogaz plans to raise this to about $ 500 million from the international financial institutions for the purchase of natural gas for the next heating season, as stated by company’s CEO Andriy Kobolev. By the end of last week, there was about 8.5 billion cubic meters of gas in the underground storage facilities, which is 0.8 billion cubic meters more than it was late March last year. According to Energy Minister Volodymyr Demchyshyn, Ukraine is planning to have piled up 17 bcm of gas in its USFs by the next heating season, having purchased a total of 11-13 bcm of gas in 2016. The minister believes that this amount may be covered by the European suppliers, and Ukraine will continue to do without Russian gas. The last time Ukraine bought Russian gas was 125 days ago, in November 2015. In the first quarter of this year, the price of gas offered by Gazprom was $212 per 1,000 cubic meters, while in the second quarter, it will be less than $180 per 1,000 cubic meters. European prices this year are expected to be about the same. Speaking of Naftogaz, one can’t but remember of the reform in the sphere of management of SOEs, which is gaining momentum. An important question is the payment to SOEs’ top managers. "We give the top managers the market level wages, but we also demand results from them," said Minister of Economic Development and Trade Aivaras Abromavicius. Meanwhile, there was a rather unpleasant situation around the initiative recently. A number of MPs who have been cut off from the sources of profit in Ukrgasdobycha company spread information that the chairman of the borad of the company, Oleh Prokhorenko, receives UAH 398,000 per month. Prohorenko parried saying that such salary is in line with market standards. "Over the six months of work, we [Ukrgasdobycha] earned UAH 1.6 billion. This is a completely new management team coming from the private sector and international companies. For us high salaries is a normal thing. To maintain this effect, people should be given normal salaries," he said. In the framework of this problem, we should also mention Naftogaz CEO Andriy Kobolev. Being in control of Ukraine’s largest state energy holding Naftogaz with assets of worth UAH 500 billion, he gets a ridiculous UAH 35,000 a month. At the same time, Kobolev reported to the tax services UAH 6.106 million of income in 2015, of which salary amounted to UAH 1.105 million. The remaining UAH 5 million is reported to have been received for the provision of investment banking services at Kobolev’s previous job in an investment company. The meager salaries of heads of some other SOEs were published last week. Ukraine’s agency for air traffic services (UkSATSE) CEO Dmytro Babeychuk earns UAH 29,643 a month, State Food and Grain Corporation (SFGCU) CEO Borys Prykhodko gets UAH 29 331, Ukrenergo (operator of the Ukraine’s United Power Grid) CEO Vsevolod Kovalchuk – UAH 28 553. Such gaudy low payments reflect the essence of an obsolete Soviet-style Ukrainian state companies’s management model, when top managers with low salaries receive "extra" bonuses for making the ‘right’ decisions. All this led to the fact that the SOEs became a source of a shady income for individual businessmen and officials. To heal the problem, the government decided to hold open competitions for the selection of the heads of the largest state-owned companies. One of the first good signs was the establishment on the basis of Ukrzaliznytsia of PJSC Ukrainian Railways. The Cabinet of Ministers at a meeting on March 30, approved for a period of six months the contracts of members of the Board. After this period, clear performance indicators will be developed for them to receive bonuses for their achievement. For now, they will only be receiving pure salaries. A source in the Ministry of Economic Development and Trade has told UNIAN that the salary of each member of the board will be about UAH 400,000. However, it is difficult to ensure efficient operation of large state-owned companies only with the help of high salaries for managers, because apart from the motivation there must be control. One of the main sources of enrichment at public service is state procurement, which was often carried out by closed procedures, in favor of companies affiliated with certain officials of their friends. To overcome this practice, a system of electronic public procurement called Prozorro was designed. The system has been running in pilot mode since February last year handling a little more than 2% of all public procurement in Ukraine. By the end of 2015, the system involved more than 2,200 state-owned companies, which held about 37,000 tenders worth a total of about UAH 7 billion. 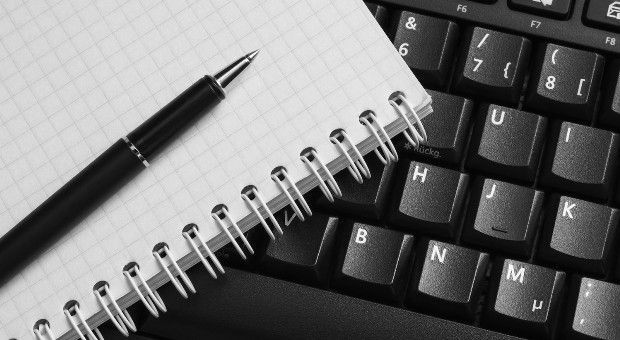 In late 2015, savings due to the use of e-procurement amounted to 12% of the tenders’ volume, or more than UAH 500 million. Starting April 1, Prozorro system covers 60 central executive bodies and 500 state-owned enterprises. Therefore, the total amount of tenders increases significantly. According to the adviser to the minister of infrastructure, Andriy Motovilovets, enterprises of the Ministry of Infrastructure alone are planning to enter the market through this system with offers totaling more than 50 billion UAH. Prozorro system is an excellent example of how transparency can have a positive impact on the public sector. And it is important not only for the management of state-owned companies, but also for the whole political process, in particular in the issue of forming the new government.